Is losing teeth a worry at the back of your mind? If you have older family members with a history of tooth loss, then it might seem like an especially worrisome prospect. While heredity might play a role in some of the issues that could lead to missing teeth, their actual loss doesn’t necessarily run in the family. In fact, to the surprise of many, you can prevent tooth loss if you understand what causes it, and take necessary measures to prevent those causes. 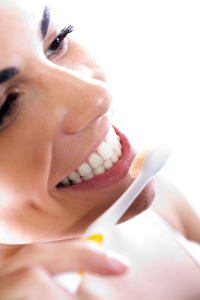 How Easy Is It to Prevent Tooth Loss? Except in the case of accidental trauma, most reasons for tooth loss can be prevented by keeping your mouth clean and healthy. An effective dental hygiene routine includes brushing and flossing your teeth at least twice a day, in addition to regularly scheduled checkups and cleanings to make sure your routine is working. Even if a dental health issue develops, you can likely prevent tooth loss if you treat it before it becomes too severe.